I gather that this has been asked a million times…is this a real one? 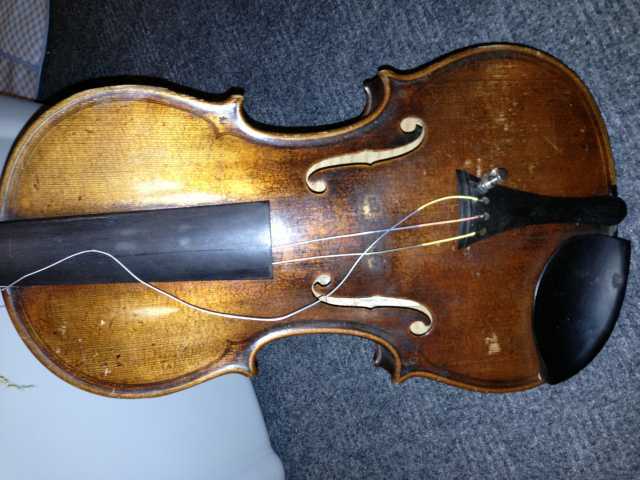 But from what I have gathered this might be one…its case is falling apart and the violin is heavily worn from extensive play…it looks nothing like the 100 year old replicas…I have no idea how to authenticate it? 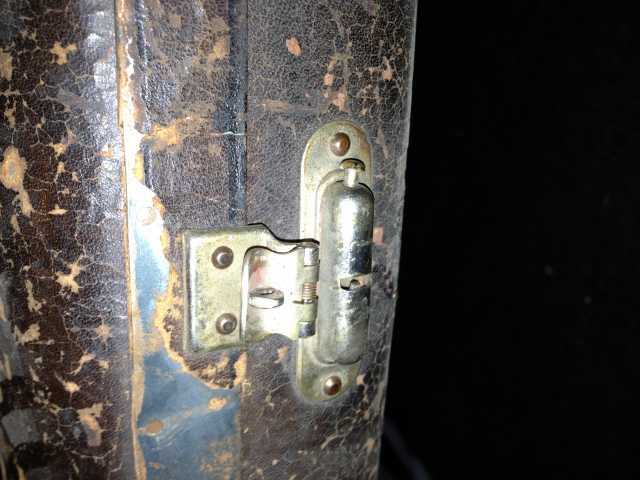 Would someone be kind enough to provide some advice? Thank you so very much for taking the time to help me on this! 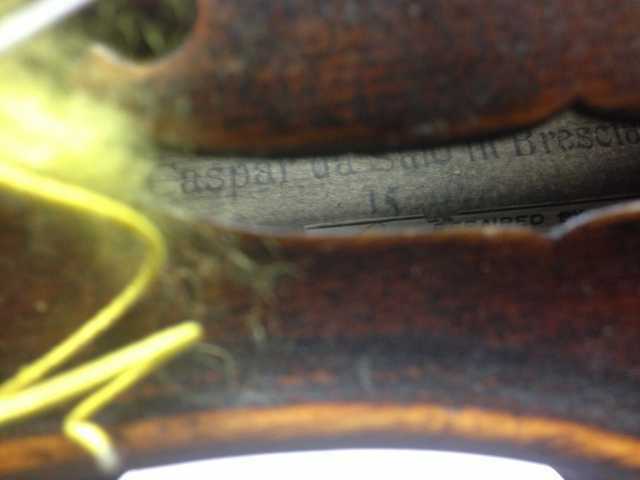 It has the date 15__ but I can't see the numbers after 15…it also has a repair sticker inside dated 1885 from Cusack violin company in Toronto, Canada. 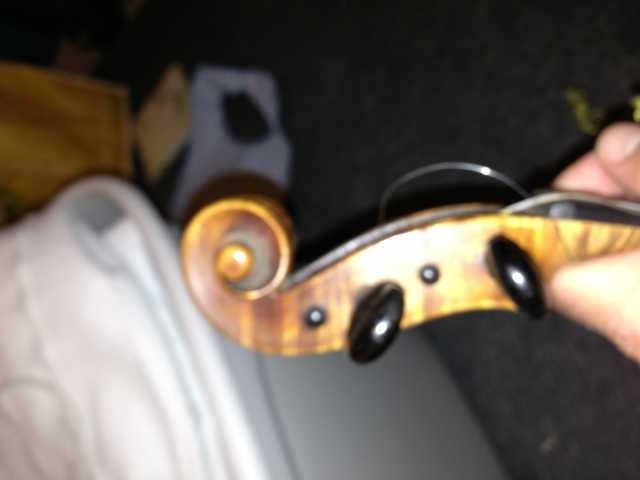 This violin is in a lot better shape than my old family violin. 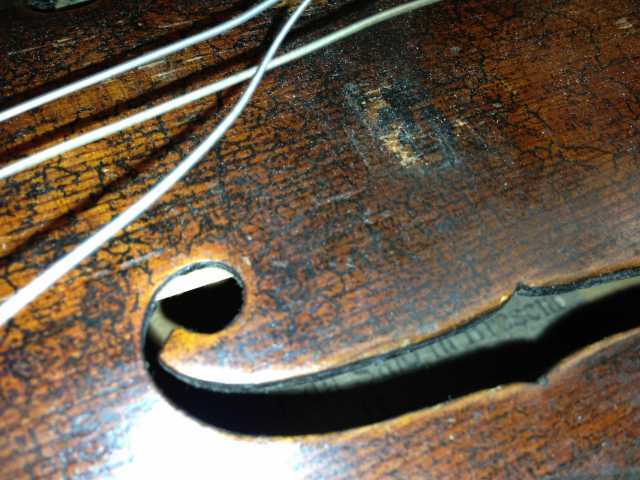 Those look like real gut strings. 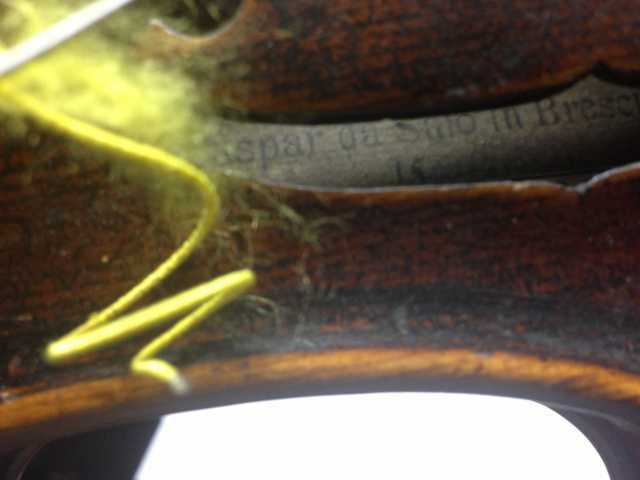 Can you get an upclose picture under bright light at the purfling and the Bee Sting, that is right by the ends of the c bout. 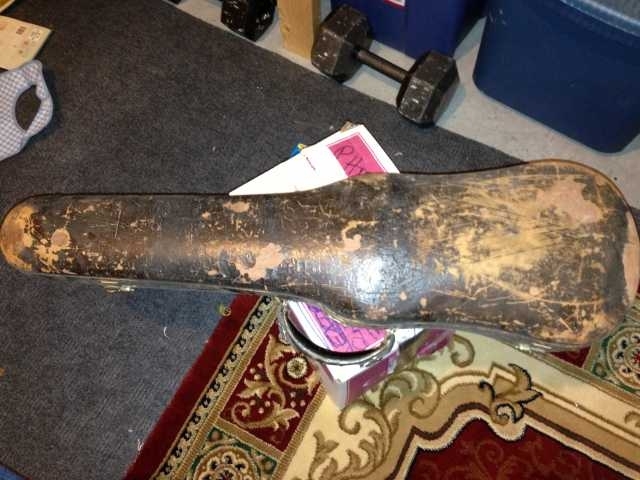 The case and the neck have little to do with old violins. 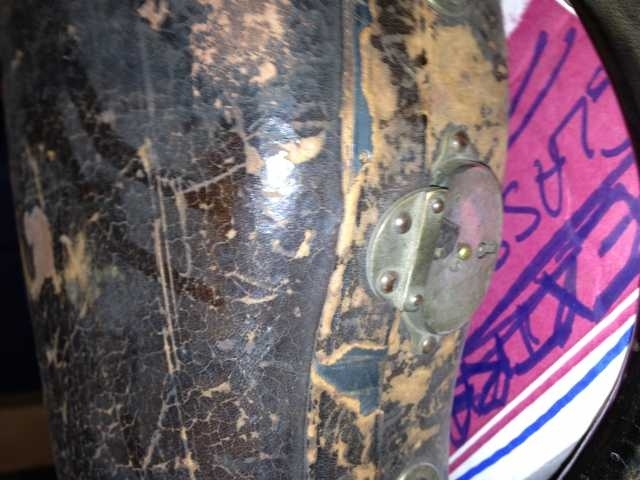 Also a picture of the button of the neck, is there a tack there?